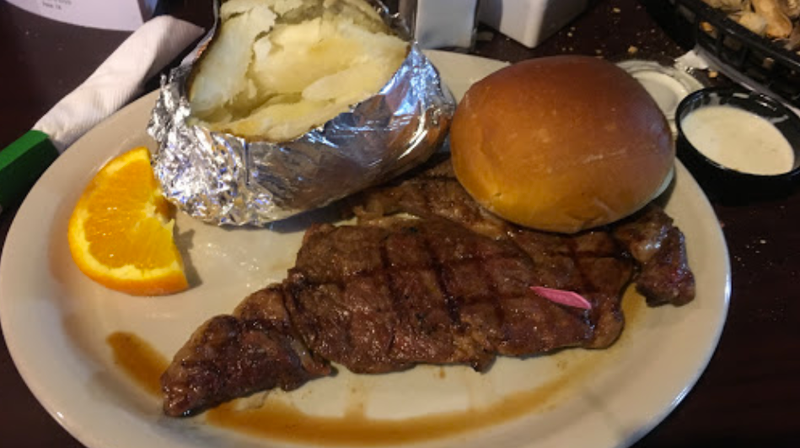 Fred’s Famous Steak and Saloon on Main St in Altus serves up home-style cooking featuring catfish, grilled steaks and more in a low-key setting with affordable prices. Order a cold beer or try one of their mixed drinks like an upside-down pineapple as you butter up a roll with whipped cinnamon butter. Try the sample platter of onion rings, cheese sticks, mushrooms and corn fritters served with ranch dipping sauce or try an order of their delicious fried pickles for starters. Menu options include a variety of chicken, fish and steak entrees, but Fred’s chicken fried steak is a local favorite with a baked potato and fried okra. For lighter fare, try the grilled shrimp served on a bed of rice with a side of green beans, salmon and grilled veggies or the taco salad in this family-owned establishment.